Just a few weeks ago, after working hard for a month on my thesis, I caught a train from The Hague to Paris for a few days of just being. No things I had to do, no responsibilities, no alarm clocks. It was the first real holiday in a while. Paris feels a long way away now – back in Melbourne, battling jetlag, and three days into a detox which sees me expressing gratitude for a cup of herbal tea. But the time in Paris was magic. Long days folding into pink twilights; long lunches with cheese and wine; sitting in gardens with a good novel, painting my nails and practicing my French with locals: it was just a perfect time to be still, and recognise lots of little joys. Not having any real plans other than relaxing led me to forsake touristy experiences, instead focusing on eating and walking my way across Paris. 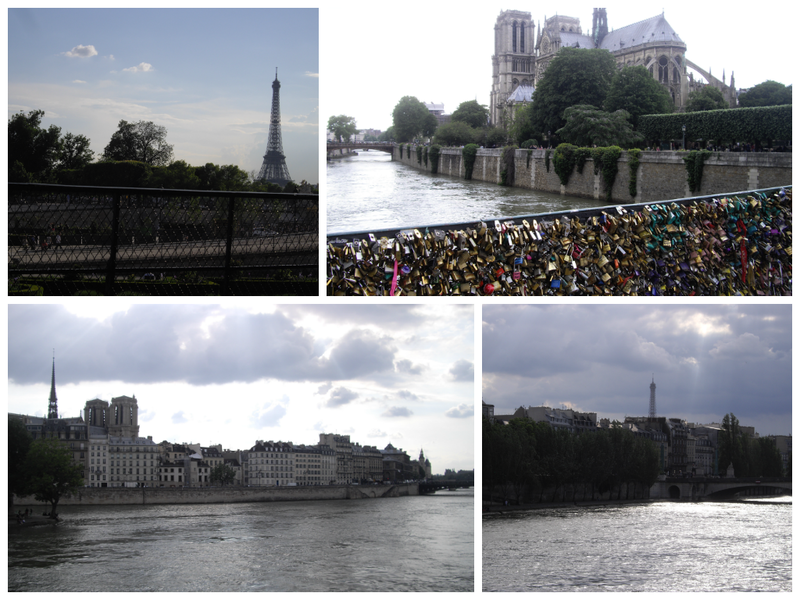 So here are some of the places I went, that I would recommend for your next Paris trip. Colorova – This little café and patisserie is an absolutely lovely. While not flashy from the outside, it has a light, bright, and funky interior. Attention has clearly been paid to every aspect of the crockery and presentation. It feels very homely and I suspect that you might be welcome to while-away some time or work on your novel-in-progress for a few hours here. Breakfast was by far the most generous and good-quality in my time in Paris. For 12 Euro, you are served pain perdu (French toast), a bread basket with accompanying jams and spreads (which included a salted caramel spread – delicious on the pain perdu), coffee, fresh juice, and a bowl of crème with some fruit compote. Everything was beautiful. I’d love to return for lunch or to try their perfect-looking patisseries, which are also very reasonably priced. Unfortunately they have quite limited opening hours – 11am-6pm, closed Mondays and Tuesdays. This meant that the first time I tried to go, they were closed (but this allowed me to find the charming Mamie Galette – below, lunch – so all was not lost). A return trip will have to wait for my next time in Paris, but I’m sure this stunning little addition to the Paris scene will be worth the wait. Yam’tcha – this little delight had been recommended to me twice, so I decided to make it a special treat mid-week. 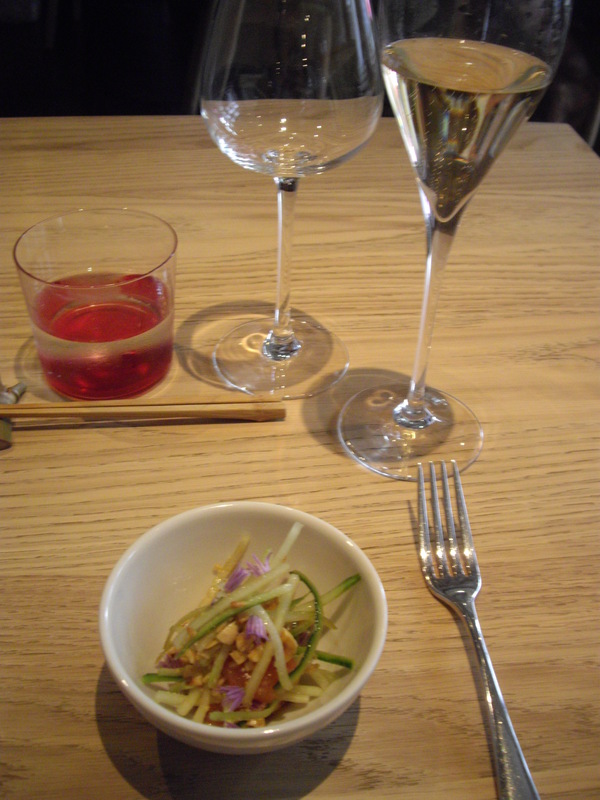 Yam’tcha is a tiny but perfectly turned-out restaurant, serving Chinese-French fusion degustation. It has earned itself one Michelin staff, and I felt it certainly had all the things such a restaurant should have: excellent, innovative food; personable staff; a lovely environment; good wines; patience, calm, and precision. It was, altogether, an excellent experience. I had the longer degustation, with a wine and tea pairing (at lunch you can choose from longer or shorter menus, with the longer mandatory for dinner. You can choose either tea, wine and tea, or just wine pairings). The food was perfect. I won’t bore you with the details. You’ll just have to go, instead. The staff were lovely and knowledgeable. On being served a pinot noir, I asked them a couple of questions about French pinots and they were delighted to hear I was from Tasmania – they have tried Tasmanian pinot noirs and raved about them (my island heart swelled with pride). Although it felt a little like I was mortgaging a kidney to afford this (the lunch, with a champagne aperitif, was around 170 Euro), I felt it was worth the price. I popped in the day before and secured the lunch booking, so it is possible to get an opening at late notice. Make this one a part of your next Paris trip for something a bit special and different, and an experience you won’t quickly forget. Le Relais Entrecôte – This is somewhat of a Parisian institution. All you need to do is tell the waitress how you would like your meat cooked, and after a serving of salad, they will then load up your plate with steak, fries, and a delicious secret green sauce. Twice. (Don’t be surprised – I was a bit worried when they filled up my plate again, but apparently it is the done thing). For about 38 euro (including a glass of wine), this was good value and you won’t be hungry when you leave. Robert & Louise – we first went here on our first full day in Paris, for a quick snack. I had a plate of three cheeses, all of which were absolutely delicious; my companion had a mushroom omlette, proclaiming it to be the best they’d had. I went back a week later, this time for a proper lunch (the last of my time in Paris). This time I tried their entrecote, which was served with potatoes and some salad, and a glass of côte du rhone. Everything was perfect – the meat was delicious, and it’s clear the staff know their various cuts and types of meat well. During the week they have a 12 Euro Prix Fixe 2-course lunch which seems excellent value; as they don’t do this on weekends, for my steak and wine, followed by a chunk of blue cheese, I paid around 28Euro. This trip I went to all the usual places a tourist should try: Pierre Hermé, for a beautiful take-away plaisirs sucre; Ladurée in Saint-Germain for an éclair and beautiful tea; and Angelina, for a pastisserie breakfast in lovely surrounds. All of these should be experienced; but this trip, I discovered some new (to me), and less touristy gems. 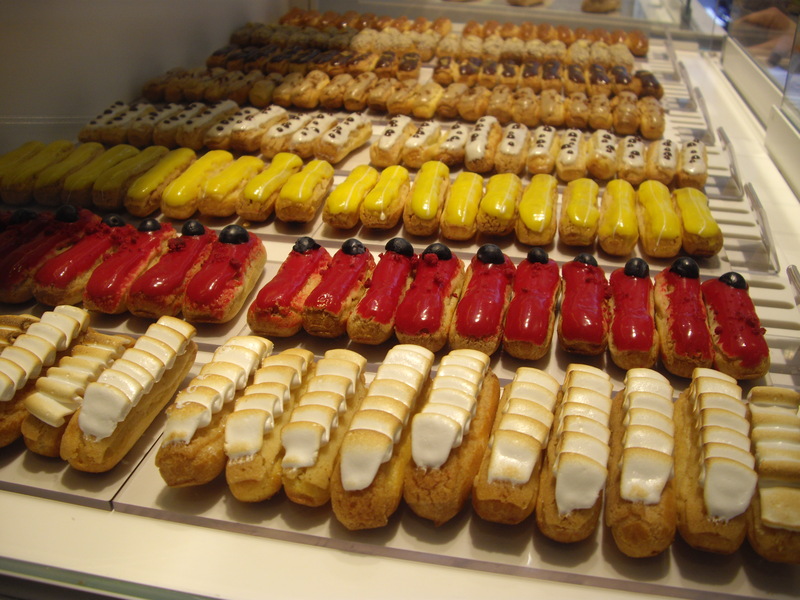 In particular, L’atelier d’éclair is a little patisserie just serving éclairs. 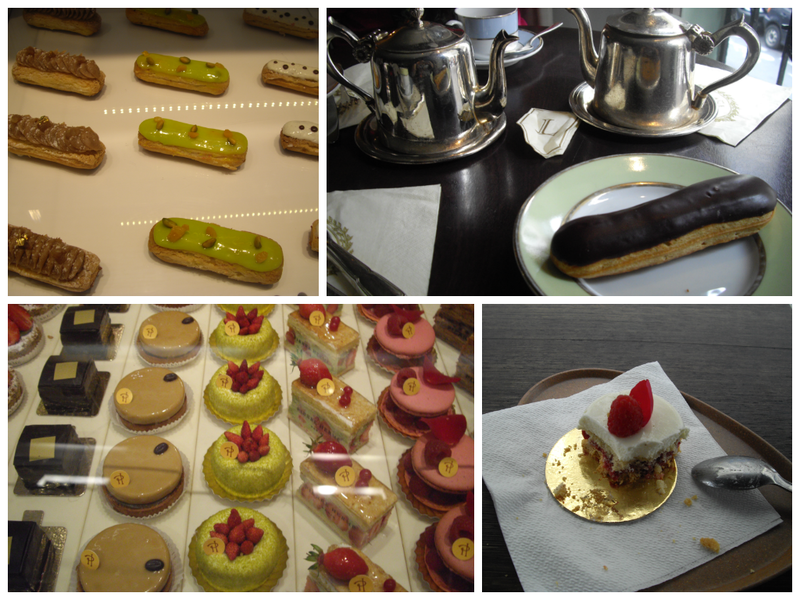 There are savoury and sweet éclairs, and the range is quite beautiful. I tried a salted butter caramel éclair, and a 1001 nights tea, which was the perfect accompaniment to cut through the sweetness. 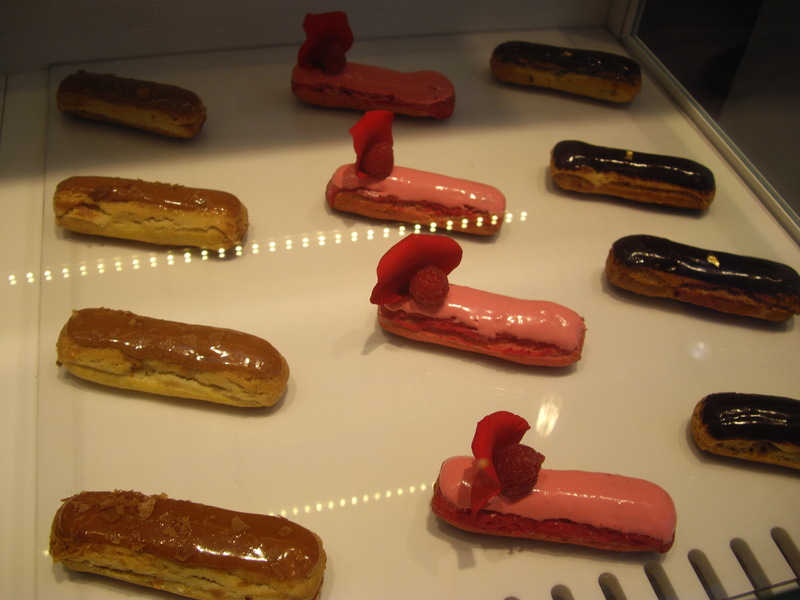 The éclair was delicious, and I’m sure their other options (rose & raspberry, nutella, vanilla, chocolate…) would all be worth a try – perhaps it would be nice to order several of the mini-sized éclairs. On recommendation from one of the chefs at La Cuisine cooking school (below), Pain du Sucre was another must-try patisserie. The establishment is divided into two shop-fronts: one sweet, one savoury. I didn’t linger in the savoury section, but headed straight to the sweet area – where there are icecreams, tarts, marshmallows, macaroons, and delicious little pastries. 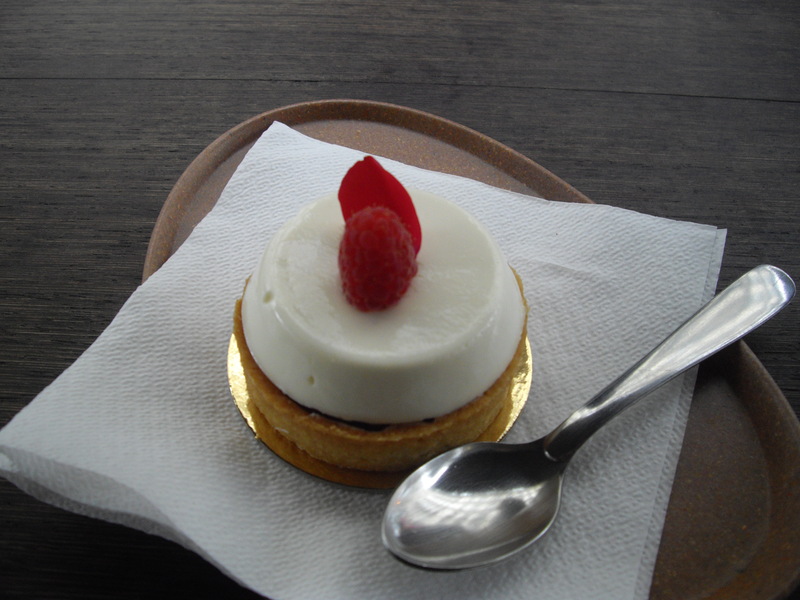 I tried a Capucine – raspberry puree on an almond base, topped with fromage blanc and rosewater. It was gorgeous – as were the assorted macaroons I picked up as a present for a friend (the most exciting being a choc-mint: a mint macaroon, with a chocolate piece in the middle ganache). Just a couple of the touristy, over-priced, but you-just-have-to places: Le Mariage Frères is an old-style tea salon, pop in for a pot of tea – it may be 10 Euro, but at least the staff are charming and they know their teas. There are hundreds on the menu. The shop in the Marais is light and spacious, and you can buy tea to take home with you. Les Deux Magots has its fame from being the place where Satre and De Beauvoir used to drink and think. I usually have a hot chocolate here, but this time snuck in a glass of champagne on my last afternoon. It is a lovely place to watch the people on the Boulevard. Les Cocottes – It honestly pains me to write a less-than-glowing review of anywhere, but I was very disappointed in my experience at Les Cocottes – a Christian Constant restaurant, where the “hook” is to serve dishes in a cocotte, or small fireproof dish that food is cooked and served in. Being a single diner, I was able to get a seat at the bar quickly, but unfortunately that wasn’t the only thing that happened speedily. The worst moment of the meal was having my main course served before I finished my entrée. The food itself was sadly not impressive either. My entrée of langoustine ravioli in an artichoke mousseline was too complex, and the mousseline made it impossible to see what you were eating, which I found disconcerting. The main, of lamb with vegetables, had meat that was both fatty and tough. Other diners had the steak, which looked perfect, so I clearly ordered poorly – but at a place charging about 70 euro for three courses (with one glass of wine), that shouldn’t be a possibility. 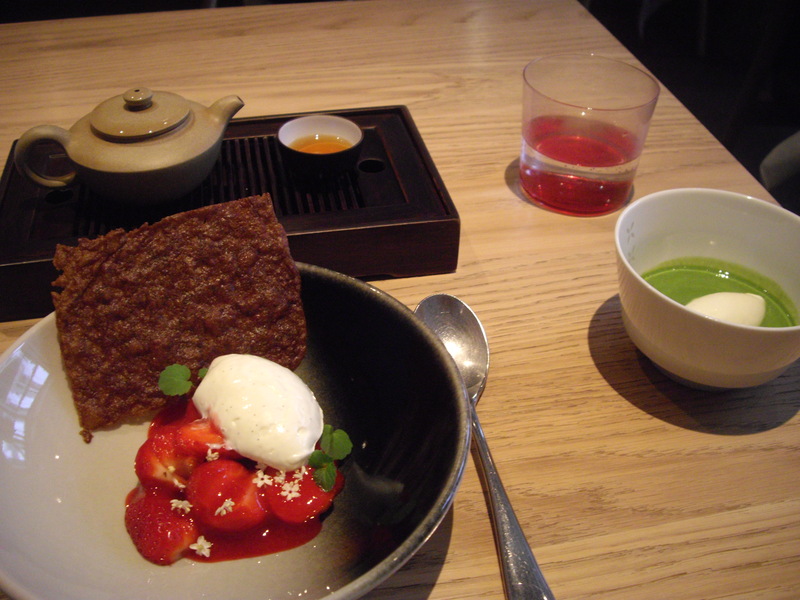 The bright spark was dessert – a truly beautiful (and in this case, somewhat redeeming) chocolate tart. Three courses and I was rushed in and out in about an hour. The lesson: take a friend, be prepared to queue, but then force them to let you linger as long as you want; order the steak, and the chocolate tart. 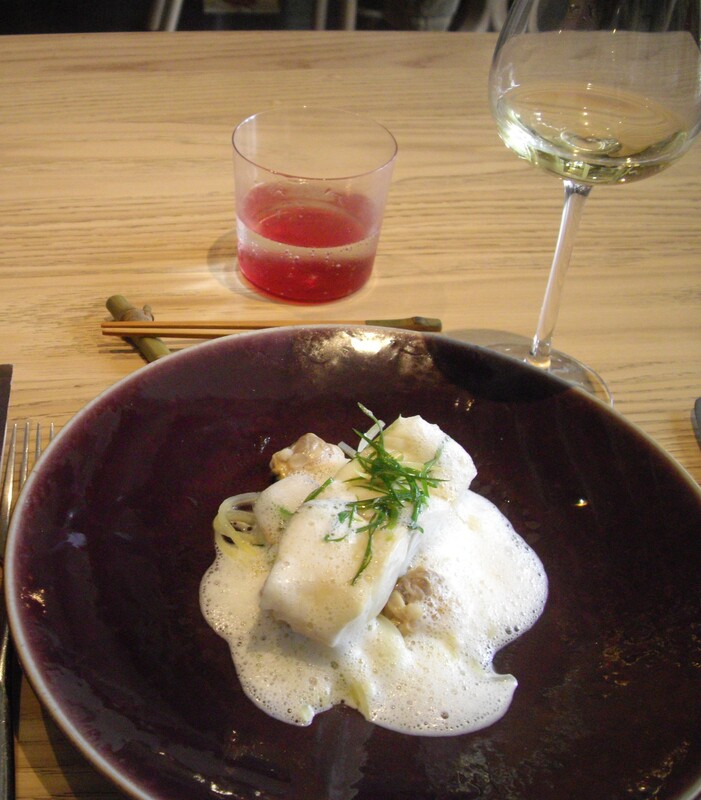 La Cuisine Paris – This Paris cooking school offers classes in either English or French, from beginners to more advanced. 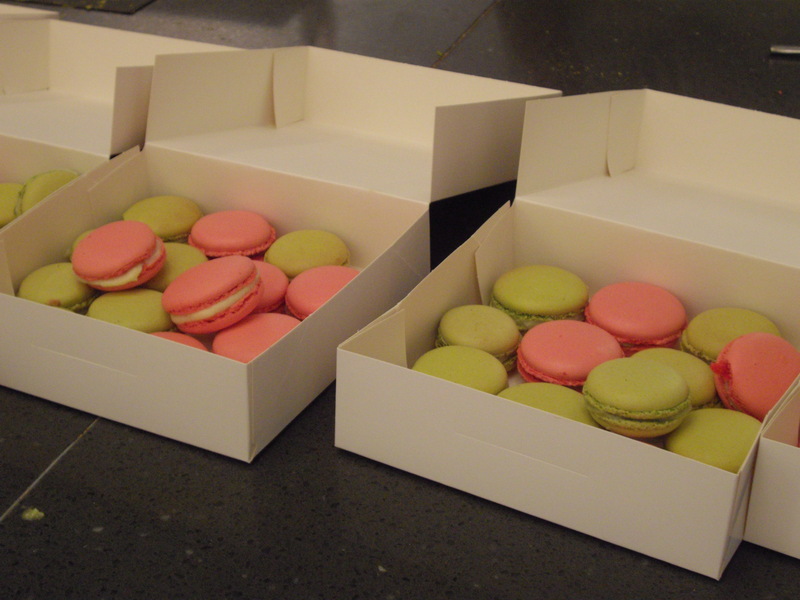 I took two classes: Macaroon Pause (2 hours, 75 Euro), and Croissants and Traditional Breakfast Pastries (3 hours, 95 Euro). I always love taking cooking classes as part of a trip abroad, and this experience was a great part of my Paris time. The chefs (Guillemette and Eric) were both French, but with perfect English, and had been chefs in Paris for a long time before coming to La Cuisine Paris. They were able to give a great deal of information about the produce we were using, the science behind the baking, and substitutes and shortcuts for making life easier in the home kitchen. Both chefs seemed very genuine in their offer to answer email questions, and were keen to see photos and hear updates from when we try the recipes at home (this was even followed up in an email a week later). The entire team at La Cuisine were friendly and generous-spirited. The two classes were quite different, and I’m glad I tried both. 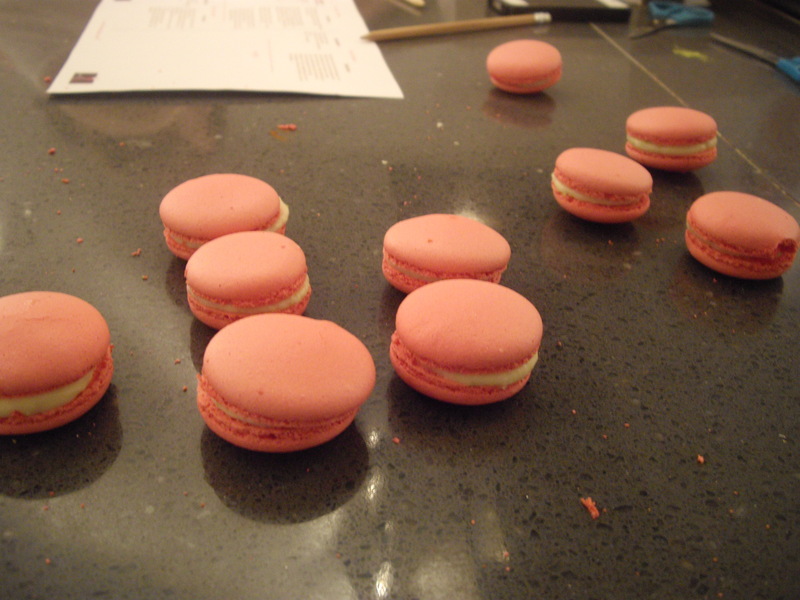 The Macaroon class was a great deal of fun, colour, and creativity, while also learning new skills. The Croissants class was more challenging, and the most important thing I learnt was to value the humble croissant for the work of art it actually is! 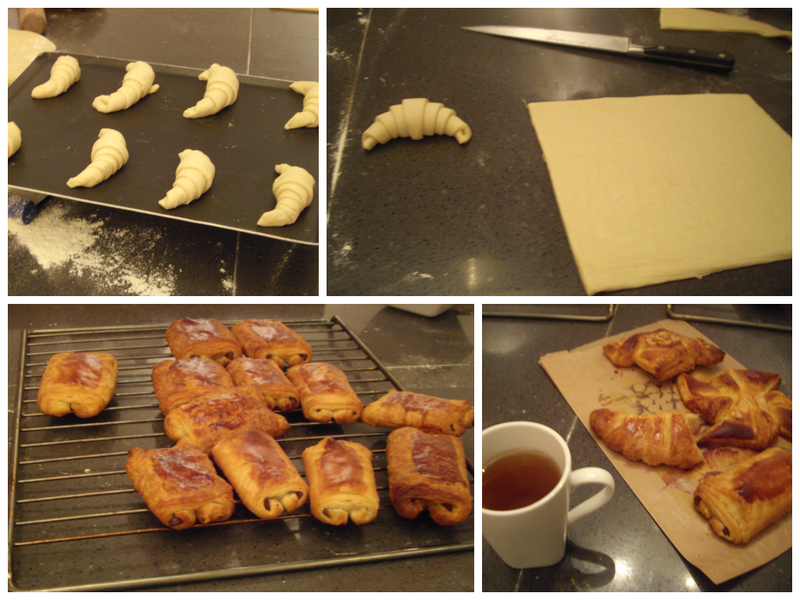 (Also, I learnt how much butter is in a croissant. No wonder they taste so damn delicious!). At the end of the class, you take home your creations. 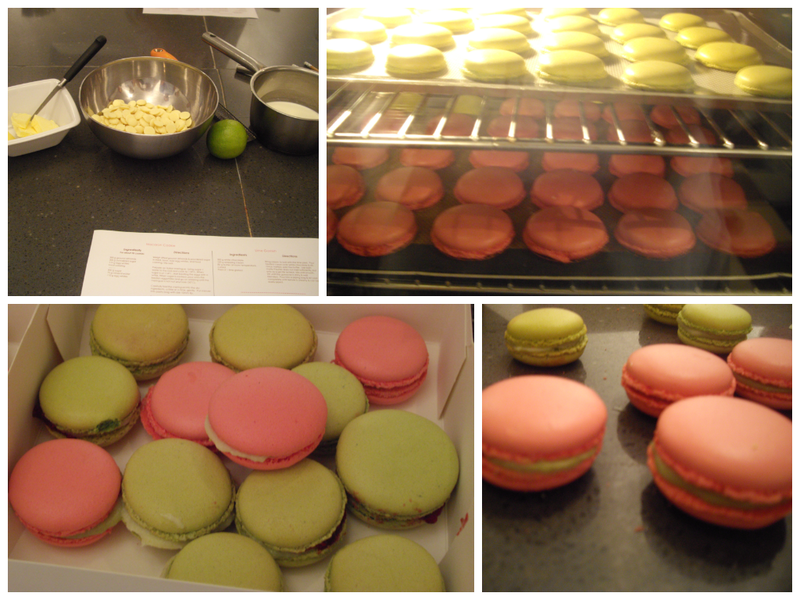 I snacked on macaroons for days. This was a real treat, and I would certainly recommend you building a class in to your time in Paris, and returning home with a bit more knowledge of French cuisine and some fresh skills. Museums – This time I finally spent some time with the girl with the enigmatic smile, at the Louvre. Take your energy, patience, and a plan of what you’re most keen to see. Usually I devote myself to the train station of delights at the Musée D’Orsay. To fall totally in love with Monet’s Waterlillies, L’Orangerie is a must. And though I haven’t been there in over a decade, I remember that the Musée Rodin is worth a visit, for both the gardens and the sculpture. 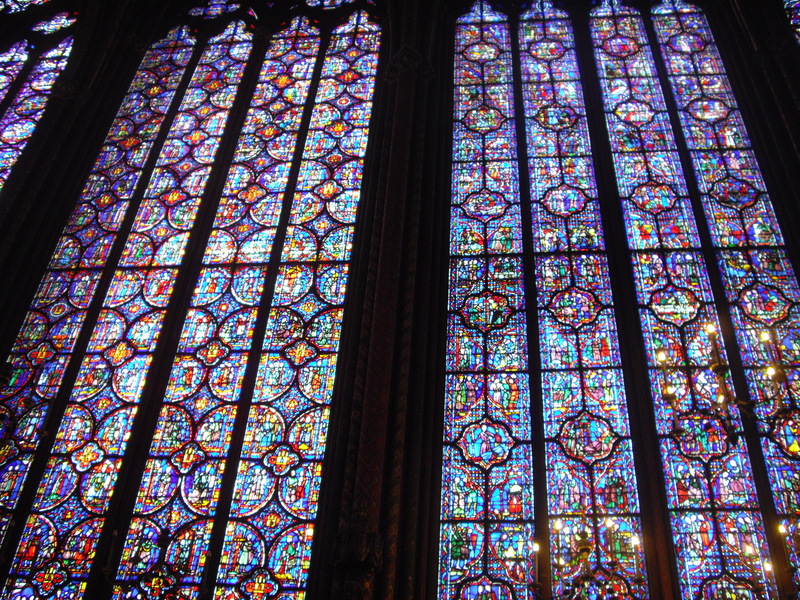 And this was the first time I had been to Sainte-Chapelle. Beautiful. Ateliers – This trip, I spent a lot of time looking for perfect segments of lace, and vintage buttons, in the many haberdashery ateliers. In particular, La Drougerie and Ultramod were both incredible. 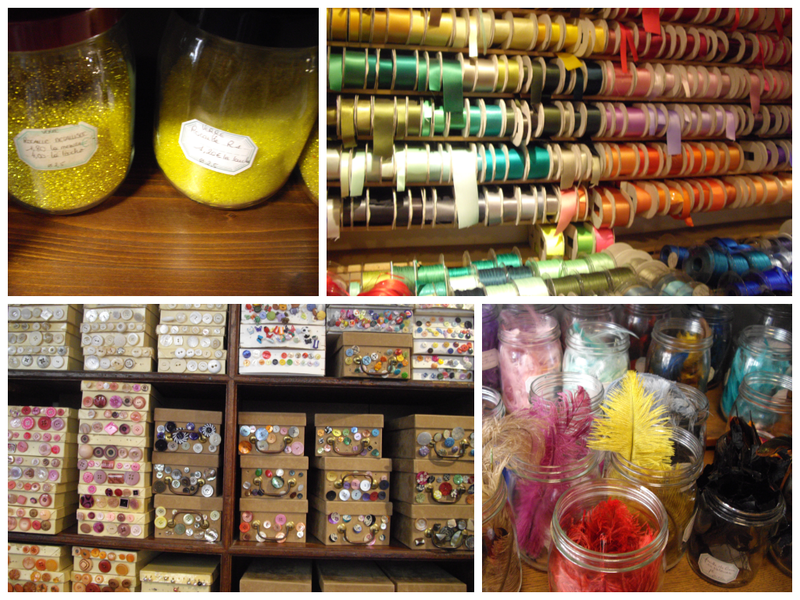 Both stores are Aladdin’s caves of buttons, bits, and bobs. The colours are magic, and the creative possibilities are endless. Get inspired. Oui. Books – Of course, I popped my head in to Shakespeare & Co, as I always do in Paris. I love the rabbit-warren-like nature of this little shop, but it can be a bit claustrophobic when packed with tourists. This time, I happened upon a little bookstore called I Love My Blender. It had a mixture of French and English books, and I have to say that it had the perfect assortment of titles, and lovely editions. If I owned a bookstore with limited space, the titles and editions on offer here would be the ones I would want to stock. The… “unorthodox” style of shelving the books did freak me out a little (those who know me, know I am particular about the presentation of books…) but the rest of the shop was charming and calming. Lovely. A shop that also has a fancy for an ampersand – and has many lovely unusual fashions at very reasonable prices – was & Other Stories. And you must visit Merci, even if it is just to look at the pretty, pretty things. Grom – Grom is my favourite Italian gelato shop (yes, it’s a chain, whatever. It’s also artisanal and full of the good stuff, both in terms of produce and philosophy). I’ve many happy memories of sitting in different Italian towns on hot days, cooling down with something from here. I’ve dragged people across cities for Grom. Imagine my happiness on finding one in Paris! Luckily a few hot days made it possible to enjoy my favourite thing: Lemon granita, topped with hand-whipped cream. Yes. La Régalade St-Honoré – this is a classy, well-priced Bistro that is certainly worth a stop. I was a walk-in off the street for dinner, and after some consideration about whether they had room, they fitted me in nicely. A three-course Prix Fixe dinner is 35 Euro – a bargin for Paris. After taking your order, they bring you a complimentary terrine – served in a whole ceramic dish, and complete with a basket of baguette and a jar of pickles. Delicious. I tried a crab entrée and a duck main – both good, neither exceptional, but for the price, very worthwhile. For dessert, I tried the special, of a fresh cherry clafoutis served with amaretto icecream. Perfectly light and well-flavoured; this was the highlight of the meal. 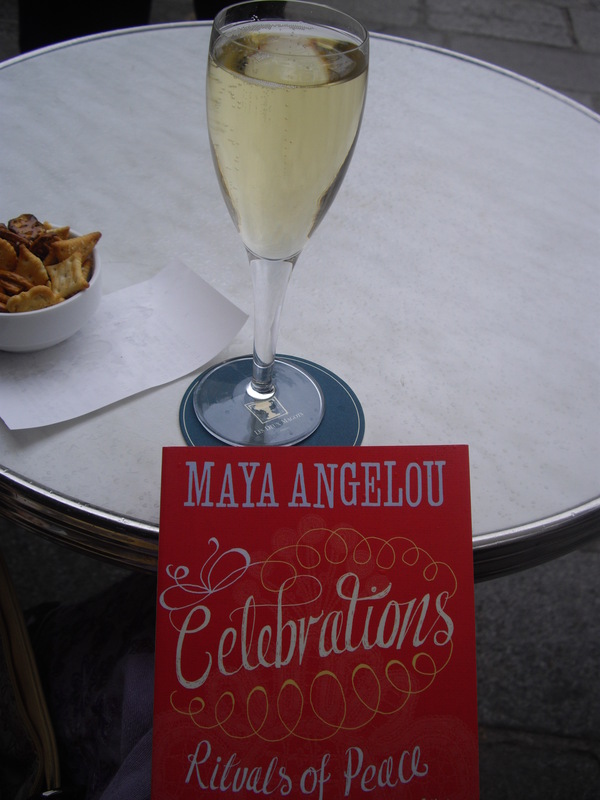 A good glass of Rosé and an espresso, and I tumbled out onto the Rue very full and happy. 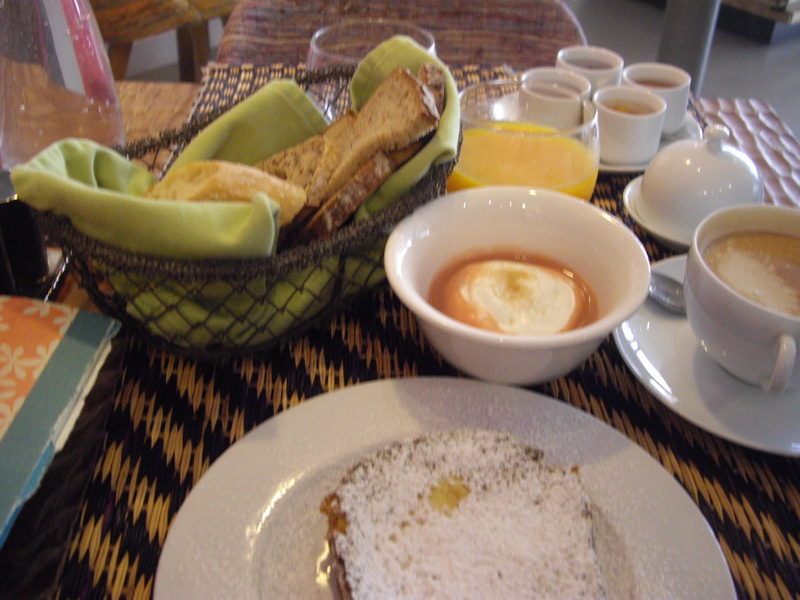 Mamie Galette – This little bakery is a quaint and homely place to sit over a bowl of coffee and a quiche or tart. Again, the interior was very cute (vintage kitchen feel), but I opted to sit outside in the bright sunshine. I just had a simple vegetable quiche and side salad, which was delicious. I’d have quite liked to try a little tart, but I held myself back. Definitely worth a visit, either to sit outside and watch the St. Germain world go by, or to huddle inside if the weather is inclement. I hopped back on the train, very happy and peaceful after this time eating, walking, learning, and being. I returned with new skills in making macaroons and croissants, new silk frocks, new pieces of lace to inspire the new creative project, and new books to devour. And more, I came home with a deeply content heart. Paris, you’re wonderful. Doors are symbolic of both travelling away, and coming home. They are suggestive of transitions; of returns; of possible new worlds, and of dependable old loves waiting for you. And sometimes, they are also particularly beautiful. I seem to be forever taking photos of doors. I love this set of images because all the doors are completely different and firmly entrenched in their own culture, and yet somehow are complimentary. Notice the salt-water-shaken Procida wooden door; the Nepali Buddhist/ Hindu symbols of trees and life on the Kathmandu door; the image of the President over the Syrian door. But these images all go together. And this makes me happy. This is a website to celebrate possibilities, creativity, & the little joys. I hope that the little joys collected here give you some happiness, & grow more joys of your own.